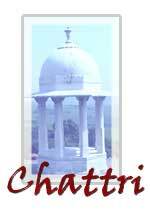 In August 1920 Sir John Otter was finally able to report that the Chattri was under construction “on the site of the burning ghat on the Downs near Patcham.” It was expected to be finished in October but the wording of the inscription was still being discussed as late on as September. The wording, as with so many facets of the project, seems to have been devised by Sir John, as the Secretary of State for India, now the Rt. Hon. E.S. Montague wrote to him: “your draft is in every way admirable,” suggesting just one change, the substitution of the words “were cremated” for the words “passed through the fire.” Happily this suggestion was ignored and the emotive original wording retained. By the end of 1920 the memorial had been built, it only remained to install protective fencing and the layout of the surrounding garden, which incorporated four miniature avenues of red and white thorn trees pointing north, south, west and east, the whole area turfed with “true down turf which is the finest in the world.” The end cost of the entire scheme was £4964, the costs of materials and labour having risen rapidly during the realisation of the project (and £1117 spent on a caretaker’s cottage). Sir W. Duke at the India Office then advised Sir John: “I hardly think it would be any use trying to get HRH the Prince of Wales as I believe he is not making many public engagements at present. Lord Haig might possibly be available.” Nothing daunted, Sir John approached the Prince of Wales who, having referred back to the India Office for advice, duly accepted and the date was set for 1st February 1921 (the Prince rejected a suggestion that it be delayed until summer when fine weather was more likely). From the outset it was quite clear that the Chattri was a Brighton Corporation initiative and that, while the India Office agreed to contribute half the cost of construction, all ongoing responsibility lay with the town. Initially some carefull consideration was given to maintenance and a caretaker employed (see below), but to the shame of the town the 1920s and 1930s were characterised by a series of complaints to the India Office from visitors and passers-by, complaints which the Town Clerks of the day generally tried to refute. During 1923 the matter of ongoing maintenance – and who was going to pay for it – was debated at length in correspondence between the India Office and the Corporation. The latter seems to have borne its responsibility lightly, although there is evidence of proper concern for the care of the Chattri in the decision to employ an on-site caretaker. The caretaker’s cottage was completed in 1923 and the first caretaker appointed. He was a former regimental sergeant-major and lived there with his wife. They were paid modestly and it was envisaged that they would be able to supplement their income by selling tea to visitors. Visitor numbers, however, did not allow for much tea-selling. The caretaker died after a few years and his wife – presumably elderly - struggled on for a few months but eventually gave up the cottage. It is not clear whether a successor was ever appointed, but an aspirant to the post, enquiring in 1934 whether there was a vacancy was told that it was not proposed to appoint another caretaker as “the cottage has been dismantled.” Reportedly it had been impossible to keep the post full owing to the remoteness of the location. On 16th December 1924 the Imperial War Graves Commission wrote to the India Office (which all and sundry seemed to imagine was responsible for the Chattri): “There have been unfavourable references in the papers lately to the condition of the memorial on Patcham Downs near Brighton.” They enquired whom was responsible for upkeep. In 1932 a walker, a Mr Sharp of Horsham, reported on the sorry state in which he found the memorial: “It is now neglected. Overgrown with thistles and what I should call if I were on a tub in Hyde Park ‘a disgrace to the British nation.’” Sharp stirred the India Office into activity. They wrote to the Town Clerk who refuted the allegations of neglect, but presumably he was pressed into taking some action and a minute on the India Office file, while doubting his veracity, states “the important thing is that he is doing something.” Another telling aside states that Sir John Otter is now 80 years old, the implication being that he was no longer able to involve himself to ensure that the Chattri was being properly maintained.